The Cheam Vista Classical Concerts Society operates on a subscription model. 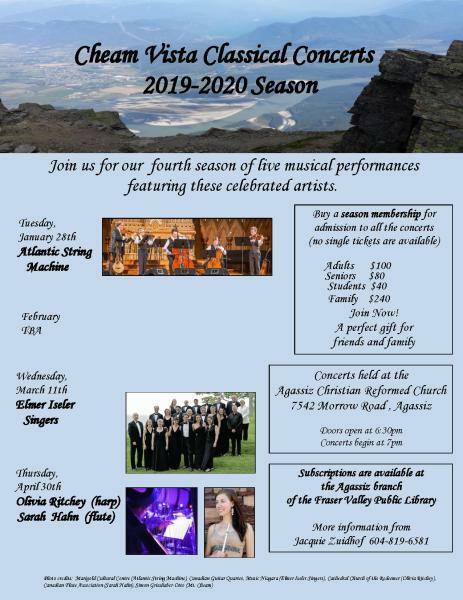 Before the start of the season, audience members buy a subscription for the whole season and your ticket reserves you a spot for all four concerts. If you cannot make a concert, feel free to give your ticket to a friend so that they may enjoy the music instead. 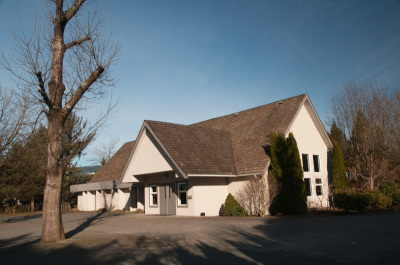 All our concerts are held at the Agassiz Christian Reformed Church, 7542 Morrow Road in Agassiz. This beautiful church has wonderful acoustics and a warm and cozy atmosphere. ​On concert nights, doors open at 6:30 and concerts start at 7pm.